Here’s Roberto Firmino’s fourth goal of the season, his third of the Premier League campaign. 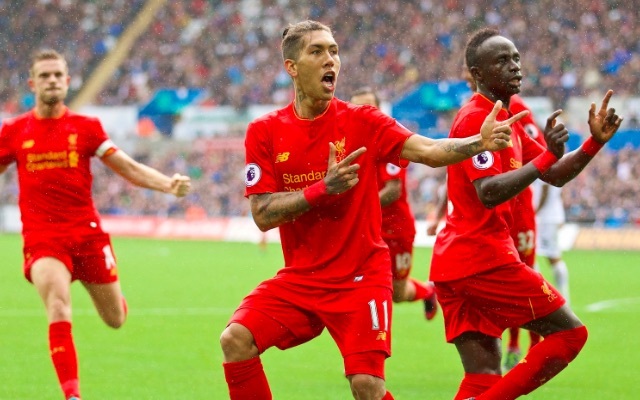 Our Brazilian levelled up this afternoon against Swansea, following an excellent cross from Jordan Henderson. The no.11 is now our joint top scorer for the season with his compatriot Coutinho. It’s actually the second he’s notched with his head this term, which is surprising because he’s renowned for being pretty poor in the air. Still, this effort today suggests otherwise. If Firmino can consistently bag goals to go along with his excellent performances, we’ll be laughing.